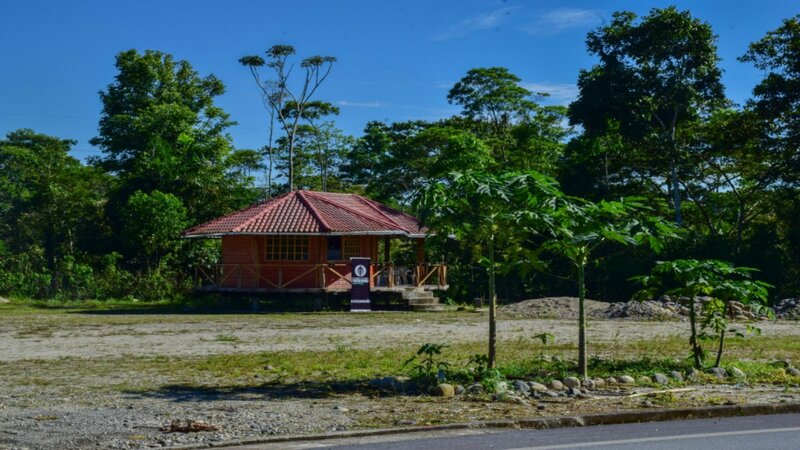 The canton Carlos Julio Arosemena Tola is located in the south of our province of Napo and is the entrance of our province on the Ambato - Puyo - Arosemena Tola - Tena route, this new canton presents wonderful and unparallel kindnesses that Mother Nature has given us. The canton has a climate that varies between permanently humid temperate (90%) of mountain heights to a tropical rainy Amazon flat area. The rains are equally abundant. Giant lobelias, families of monocotyledons, poaceae, rosaceae, cedar, matachis, guaba, pumamaqui, higuerón, colorado, porotillo, copal, alder, guarumos, raft, blood of drago, palms, chonta and tagua are some of the species that can be find. In addition, we can observe forest vegetation composed mainly of arboreal species and shrubs with great diversity of orchids, ferns and mosses. In regard to fauna we can mention the following animals: deer, cervicabra, monkey machin, chichico, tapir or tapir, jaguar, tigrillo, puma, porcupine, guanta, among others. The main activity of the canton is banana and yucca; For the self-consumption and provincial and national market, corn, naranjilla, palmito, cotton, coffee and cocoa are also grown. Chonta Kuro: Wash the larvae, then fry them without oil with a pinch of salt and then use cooked yucca. Papachina: It prepares many varieties of dishes such as chips, tortillas, locros and cakes. Ceviche de Chonta Yuyo: It is prepared with the tender part of the chonta palm which is the white part, it is lemon cured that gives an excellent flavor.